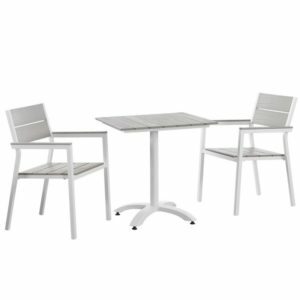 This simple yet breezy outdoor dining set gets the job done being weather resistant; water resistant & UV resistant. The plastic/resin material makes this 5 piece set a breeze to clean! Chairs are stackable for easy storage. Available in white or black. 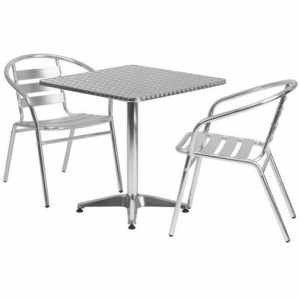 Complete your dining room, restaurant or patio with this chic metal table and chair set. 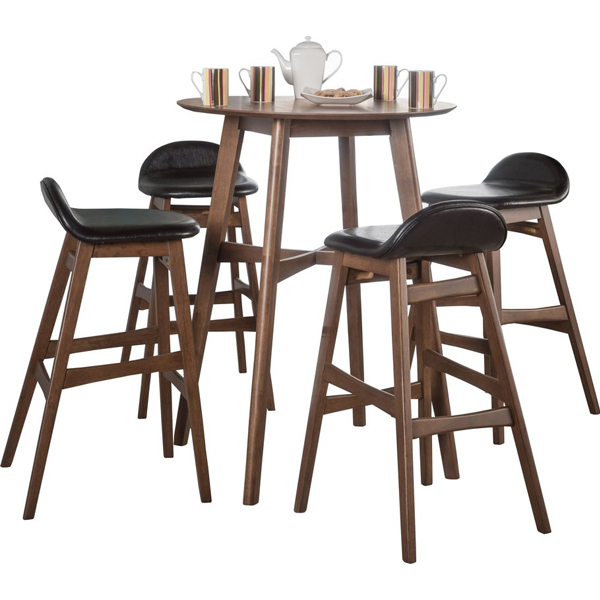 This colorful set will add a retro-modern look to your home or eatery. 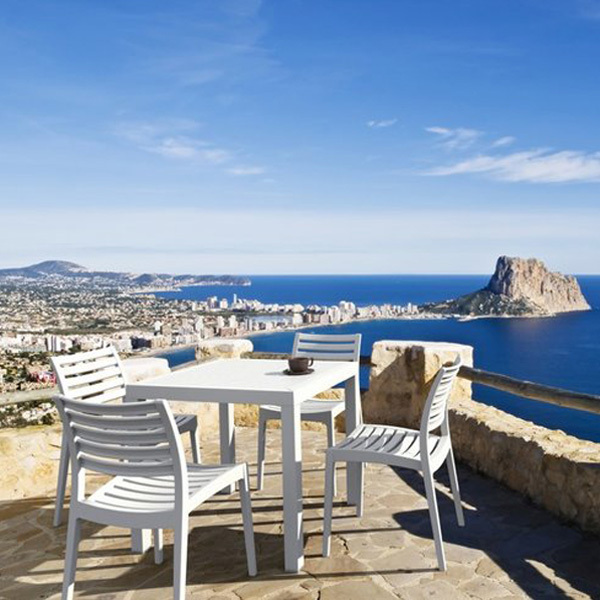 Table features a smooth top and protective rubber floor glides. 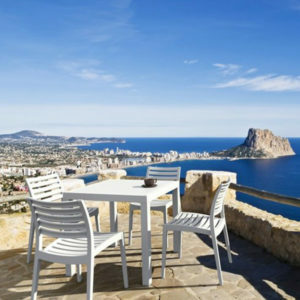 The stackable bistro chair features plastic caps that prevent the finish from scratching while being stacked. 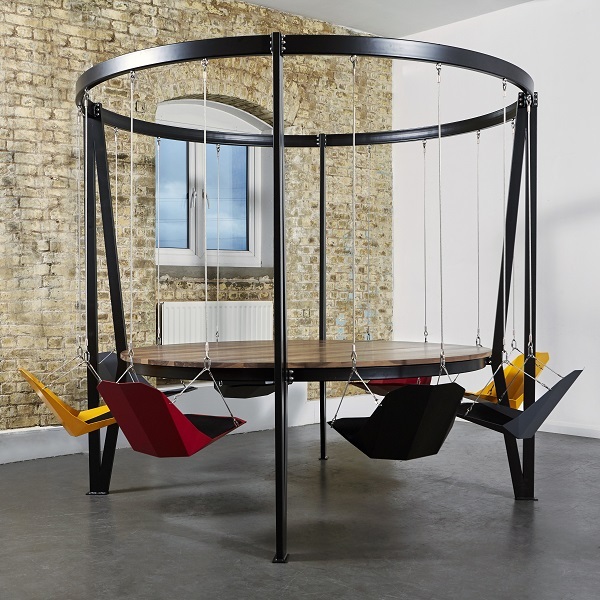 Designed for indoor and outdoor settings. 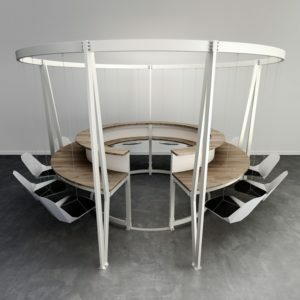 The possibilities are endless with the multitude of environments in which you can use this table, for both commercial and residential spaces. Available in multiple color options. 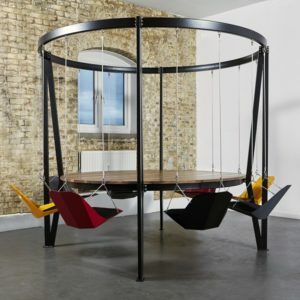 Table is 24″ in diameter. 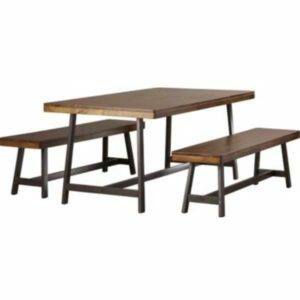 Create an enjoyable dining experience with this table set that will enhance your bistro, cafe, restaurant or hotel patio space. The designer style stainless steel table top features a smooth surface for keeping items level. 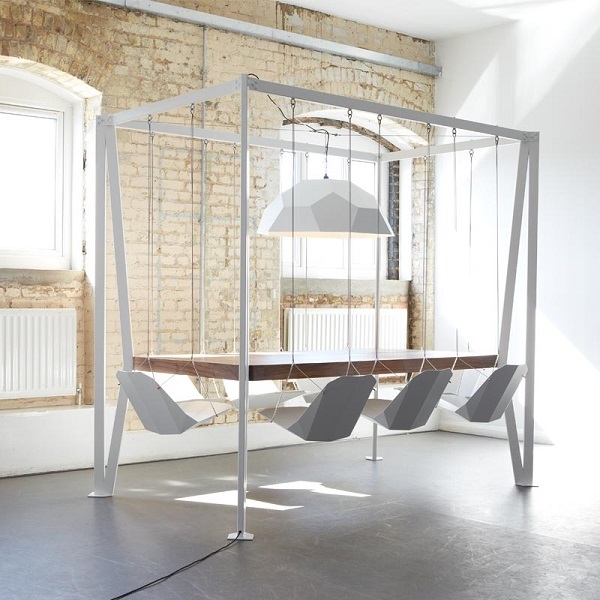 The column and base are constructed of lightweight aluminum material. 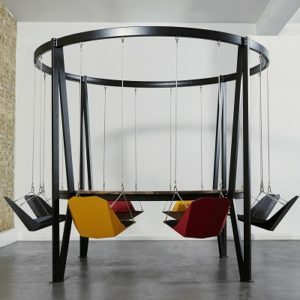 The chairs are lightweight and easy to move and store. 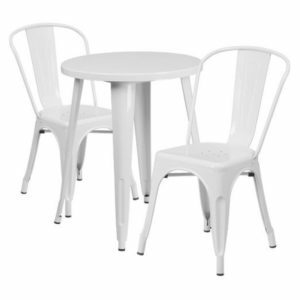 For easy storing and cleaning purposes these chairs stack up to 20 chairs high. This set was designed for all-weather use making it a great option for indoor and outdoor settings. For longevity, care should be taken to protect from long periods of wet weather. 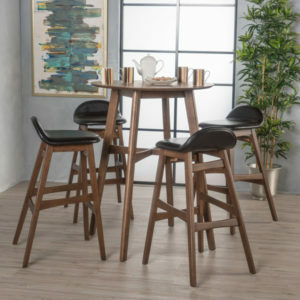 Whether you are just starting your business or upgrading your furniture this set will complete the look. 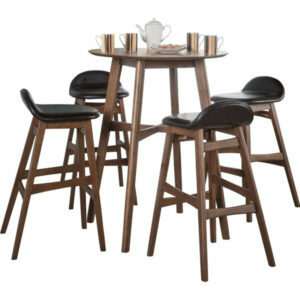 Set includes 1 Table & 2 Chairs. 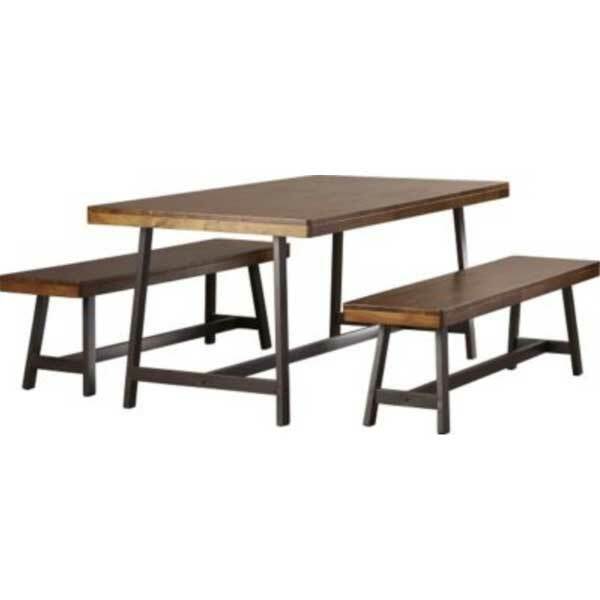 Choose from 3 table top size options! The Jefferson Dining Set is a perfect blend of classic style and modern appeal. This understated set anchors your patio or kitchen/dining ensemble in effortless style! 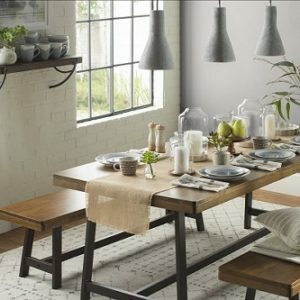 Top it with a burlap runner to up its rustic appeal, or leave it bare to accentuate its sleek, clean-lined look. 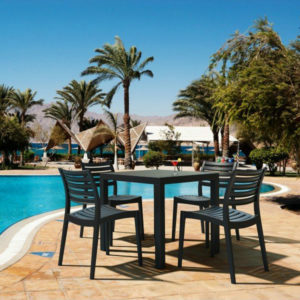 Features a weather resistant finish for indoor/outdoor applications. Benches included fit fully under the table! Seats 4 persons. 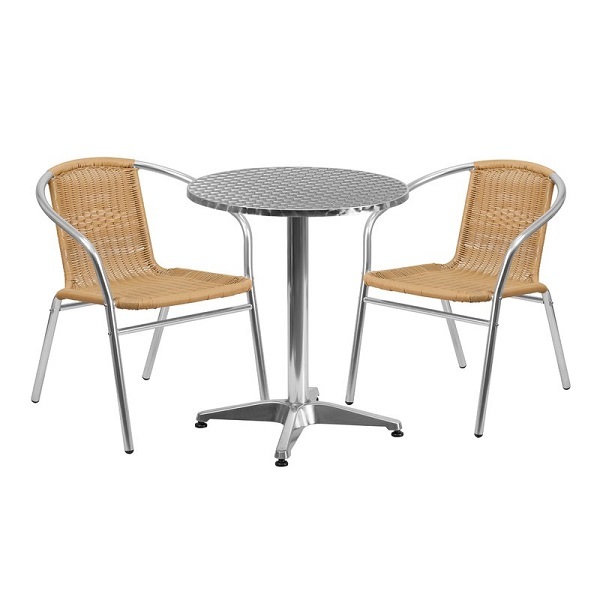 The Marrone Bistro set includes 1 table & 2 chairs; featuring aluminum chair frames with wicker/rattan seats along the stainless steel table. Perfect for casual outdoor quick bites & drinks! 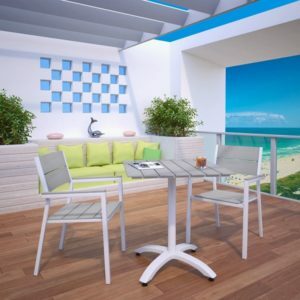 This outdoor bistro set is perfect for contemporary patios, backyards, poolsides, and other outdoor lounge areas! 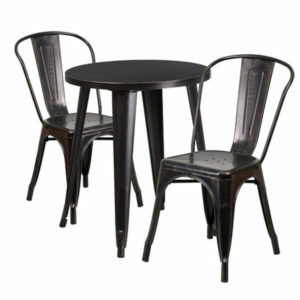 Set includes 1 Table & 2 chairs. Chairs are stackable! Set is available in two color choices.